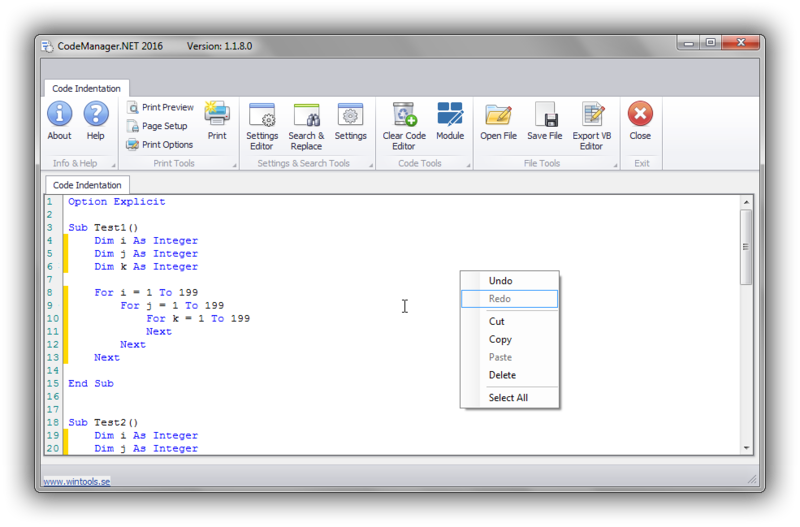 It's a toolbox for professional Excel/VBA-developers which will include several tools for various coding tasks. 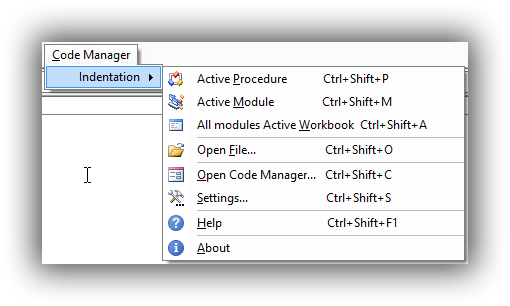 Code Manager can run on both x86 and x64 Windows platforms. It's a managed COM add-in that can be used for both the x86 version of MS Excel 2010 and later as well as for x64 of MS Excel. Code Indentation is a versatile tool to manage all VBA code with. It can operate with code in the VB Editor as well as with standalone vb-files, cls-files and txt-files. 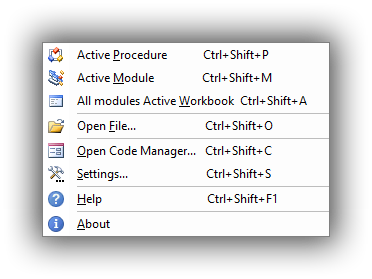 In order to improve the tools I welcome any feedback and suggestions of additional tools to be included in the Code Manager toolbox. To install it first unzip the file and then execute the setup.exe by just double click on the exe file and follow the instructions on the screen. Note: If you have problems with the shortcuts let me know, Instead of Ctrl+Shift+P you can also use Alt+CP as a workeround. The Code Manager for MS Excel is made available based on the MIT License (MIT). Special thanks goes to Ron de Bruin and Ken Puls.